Recycle for charity is great way to recycle your old ink cartridges and old mobile phone, raising funds for Pancreatic Cancer Action and protecting the environment at the same time! We have teamed up with the company “Recycle for Charity” to enable you to do so. It is easy and quick to register for your free collection box, just select Pancreatic Cancer Action as your chosen charity and fill up the box! 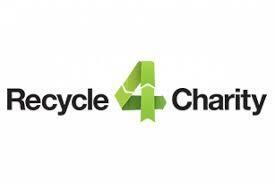 To date, Recycle for Charity have raised over £1,000,000 for charity and have kept nearly 400,000 kg out of landfill! to receive your collection box please visit “Recycle for Charity”.